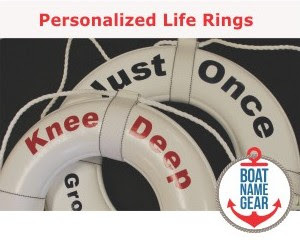 If you are among the few in a position to buy a boat in this economy, why not buy the best? The 2009 Motor Boats Monthly Motor Boats of the Year were announced last night in a swanky ceremony at London's Waldorf Hilton during the 2009 London International Boat Show. The winning Sportscruiser over 45ft, Princess V45, is pictured. To learn more about these boats, pick up a copy of February 2009's Motor Boats Monthly magazine. Is the economy really all that bad? You wouldn't know it by looking at the boat show schedule this weekend. Whether you're in San Diego, Kansas City, Fort Worth, Toronto or even London, there's a boat show going on near you right now. In fact, there are more than 20 shows this weekend, so there is likely one a short drive from you! 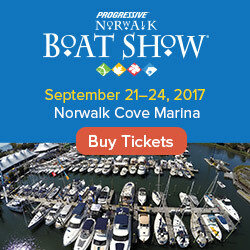 For more than a dozen other shows this weekend, plus boat shows throughout the year, visit the Discover Boating boat show calendar. Displaying a show of confidence in what the new year may bring, the town of Stuart, Florida, is not only holding its 35th Annual Boat Show next weekend (Jan 9 - 11 2009), but is simultaneously launching its first annual Trawler Expo. The combined shows will have over $100 million in products - including more than 500 boats - on display both in-water and on land. The Trawler Expo is a bit pricier than your average boat show, but includes seminars on navigation, electronics, knot-tying and more. For more details of the 35th Annual Stuart Boat Show, including dates and times, visit their website here. For more about the Trawler Expo, including seminar schedule and prices, visit their website here.